Brazil will welcome hundreds of thousands of visitors for the 2016 Summer Olympics in Rio de Janeiro. 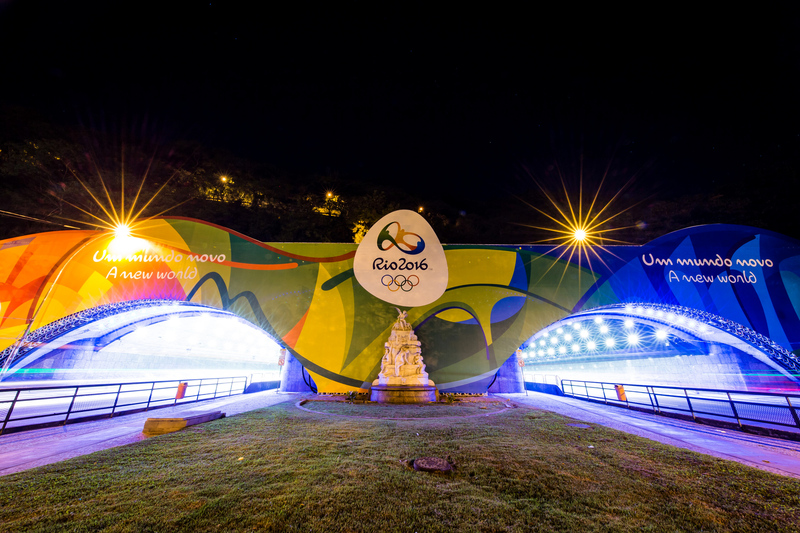 While there, athletes will compete on the world stage, fans will show off their patriotism, and measures will be taken to protect people against the Zika virus. Zika has plagued the region for months, causing some to wonder if the Games are worth the risky trip. As it turns out, if worst came to worst, it wouldn't be the first time that the Olympics were ever canceled. It would, however, be the first time that the Olympics were canceled due to a health concern. The World Health Organization has reassured the global community that there's no reason to do so, and the International Olympic Committee reportedly has no contingency plan to fall back on, so it's highly unlikely that anything will prevent August's Olympics from happening. Yet the thought of contracting a mysterious virus, particularly one which has been proven to cause birth defects, has caused quite a stir among the public. Several athletes have already decided to sit out the Rio Olympics because of their concerns over Zika, including American cyclist Tejay van Garderen, whose wife is pregnant. Professional golfers Jason Day, Rory McIlroy, and Vijay Singh have also withdrawn their Olympic bids. American basketball players LeBron James and Stephen Curry won't make the trip either, although they gave reasons other than Zika. At this point, it's more than a little late for the Games to be moved, postponed, or even canceled. But it has happened before. In fact, the Olympics have been canceled five times in the past. In 1916, the Summer Olympics scheduled for Berlin, Germany, were canceled due to World War I. Then, thanks to World War II, the 1940 Winter and Summer Olympics and the 1944 Winter and Summer Olympics were canceled. The 1976 Winter Olympics were initially scheduled to be held in Denver, Colorado. When Colorado voters didn't approve financing measures, though, the Games had to be moved to Innsbruck, Austria. As USA Today has reported, the relocation decision was made more than three years before the start of the Games. In other words, it's virtually impossible for the Rio Olympics to be relocated on such short notice. Zika has become a big concern in a relatively short amount of time. Although the threat has remained concentrated in South America so far, skeptics of the Summer Olympics fear that inviting foreigners into Brazil could quicken the spread of the virus. Regardless, there's almost no chance that the Games will be canceled, postponed, or relocated.